It's been a long time since the Urban Terror community has put together a proper jump related event. To remedy that, Sachka​ and Hugo​ are organizing the Battle Jump competition, hosted by Urban​ ​Zone​, and everybody from beginner to skilled jumper is welcome to participate. There will be three different divisions in which people with the same skill level compete against each other, on maps with matching complexity and difficulty level. The goal is to be the fastest in your bracket to finish the maps. The tournament will span several weeks and multiple maps will be played in each division. To participate, it is necessary that you are using an Urban Terror account​ and that you are registered on the Urban​ ​Zone website. 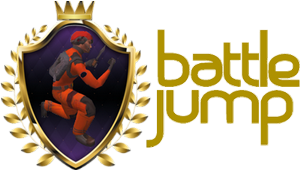 For this first edition of the Battle​ ​Jump​ Tournament​, the organizers offer 50 €​ to the winner of each division. In the next few days you will be able to access the​ ​rules​ as well as the official list​ ​of​ maps​ that will be played. Good luck and lots of fun to all the participants !